Monte Carlo Yachts was established in 2008 and is a Beneteau Group company. 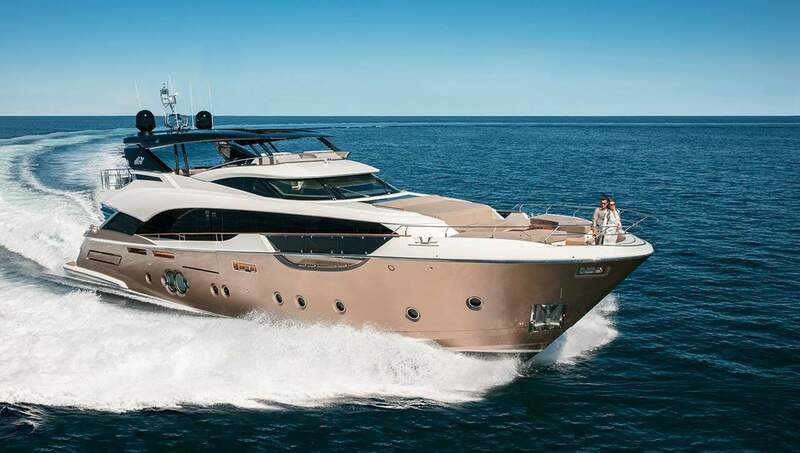 Monte Carlo is genuinely Italian and is based in Monfalcone, in the gulf of Trieste and offers a timeless collection of flybridge motor yachts, large luxury yachts, over 60 feet long. Monte Carlo Yachts is dedicated to crafting timeless luxury yachts. From the debut of their first model in 2010, the MCY 76, MCY has delivered excellence in Italian design, innovation and technology. Every MCY model is unique because it is built around the dreams of its owner. The boat owners’ wishes are at the center of the production process every step of the way. Monte Carlo doesn't aim to meet our customer’s expectations, they aim to take those expectations to the next level. Buying a Monte Carlo: We are very knowledgeable of the MCY brand and offer their complete NEW LINE in Florida as well as used MCY yachts for sale worldwide. Contact our sales professionals for immediate assistance. Selling Your Monte Carlo: With a team of experienced yacht brokers and marketing professionals, we will employ a comprehensive marketing approach to ensure your vessel receives maximum global exposure online as well as exposure in person at major international yacht shows. Learn more about how SYS Yacht Sales will help to sell your MCY yacht!